The South Skyline Association is a not-for-profit organization created to provide benefits for the residents and property owners along Skyline Boulevard (CA 35) from Los Gatos to Skylonda within the greater San Francisco Bay area of California. Regular, voting members live within the area defined in our bylaws of the South Skyline Association. Associate, non-voting memberships are available to those with interests in the area, or nearby residents wishing to share in SSA benefits. Download Important Numbers Here- Dial 9-1-1 for emergencies - Land line works best. Interested in joining the South Skyline Association? To join, renew, or update your profile, click below. Todd Spanier learned to forage wild mushrooms at the age of five from his Italian grandfather Ed Marcellini. Today he is known by many as the “King of Mushrooms” within the food industry and is considered to be a pioneer of the “sustainable” and “wild food” movements in California. 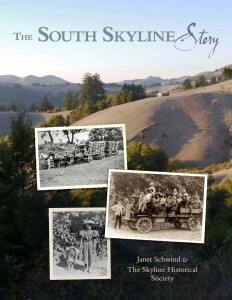 Skylines is published quarterly by the South Skyline Association. Anyone is welcome to submit articles of community interest. No RSVP needed. Will have snacks, coffee, etc. Where: Saratoga Summit CalFire, 12900 Skyline Blvd, Los Gatos, located just north of Hwy 9. How: You will get full instructions and a sample packet at the training. Collect bay/tanoak leaf samples anytime the rest of that weekend on your land, or elsewhere with permission. Return sample packets back to the Fire Station by 9 AM on Monday the 6th. Detailed SPUG provider information and prices are available the SPUG page. Use this link or "SPUG" on the menu to get there.